One of my first jobs on Hatteras Island was with John Luke’s construction crew. It consisted of a few local guys and a reputation for well-built beach cottages. Two people on that crew were Larry Midgett and Jimmy Hooper. Both grew up in Salvo when it was a much more rural town than it is today. Much like their fathers and forefathers before them, they spent time fishing and hunting. 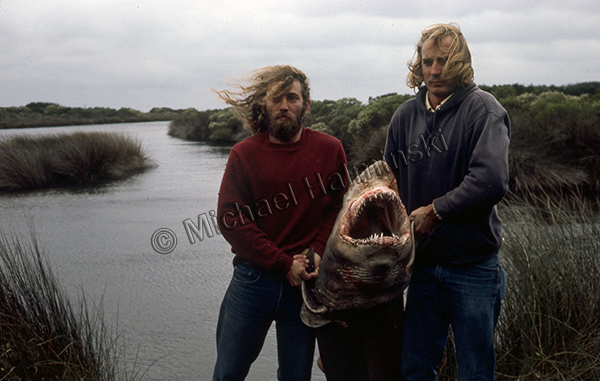 One Fall day in 1975 they invited me to a Salvo creek to photograph a shark they had just caught on the Rodanthe pier. It was the start of a friendship that I would keep even to this day. This entry was posted in Fishing, Outer Banks, People on March 25, 2019 by j0jgvm89bj.